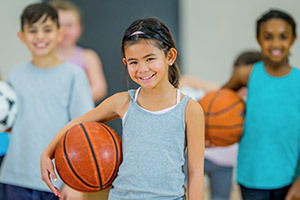 The Mayfair Sports Clinic provides comprehensive care to Members, their families and Guests, as well as Visitors, with specialized sports medicine services offered by qualified wellness professionals. All treatments are part of your overall wellness program, and are customized to meet specific personal needs and goals. Chiropractic care provides diagnosis and hands-on treatment for issues related to the spine, pelvis, nervous system and joints. It restores a better range of motion and helps heal neck and back pain, headaches, work and sports injuries. Our physiotherapists use hands-on clinical skills to assess and relieve symptoms of illness or injury through manual therapy and movement techniques. Treatments also provide improved strength and flexibility, to help prevent future injury. Our therapists focus on relaxation and rehabilitation to diminish stress and anxiety, facilitate recovery from injury, and reduce the pain and discomfort of muscular strain. Customized to meet your individual needs. Acupuncture improves body function and promotes self-healing. Fine needles are inserted at specific acupoints to stimulate energy flow and balance. Beneficial for pain relief, digestive disorders, arthritis, migraines and more. A manual therapy which aims to improve health and function across all body systems by manipulating and strengthening the musculoskeletal framework. Osteopathic treatment will focus on the joints, muscles, and spine. We do not require you to have a letter of referral to be seen by one of our wellness practitioners. However, your insurance company may require one if you wish for the cost of your treatment to be covered by your personal health plan.We will provide you with a receipt to submit to your insurance company for coverage, as determined by your personal health plan. We do not submit any claims on your behalf, so all treatments must be paid for in full. Cancellations must be made at least 24 hours before the scheduled appointment.The Mayfair Wellness Clinics also offer our certified team providing the following personal esthetic services. 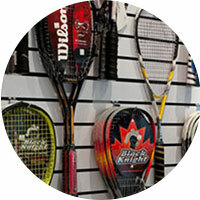 Mayfair Sports Shops at Toronto Parkway and Toronto Lakeshore offer a selection of gear related to activity at each Club.